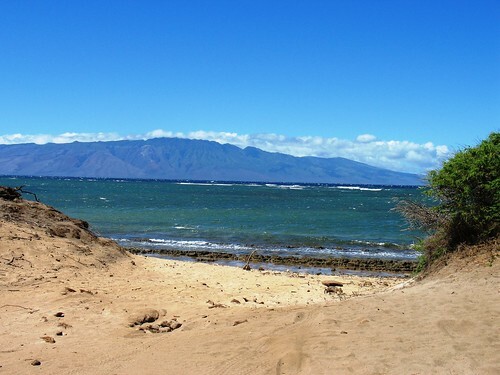 Lanai is one of the more interesting islands in Hawaii. Why? Well, firstly, it has a luxury reputation, due to not one but two Four Seasons properties – some of their highest rated – are located on the island. (And there are only 3 hotels in total, if that tells you something.) Despite this, not many people go there, because the lack of infrastructure – there is no glut of hotel rooms, only a handful of paved roads, and one car hire shop, although the island is accessible via both ferry and plane. 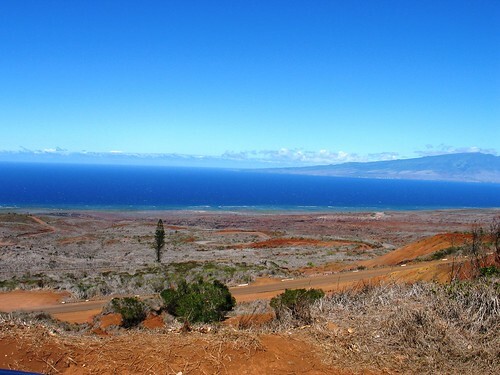 This is what much of Lanai looks like. While I don’t think Lanai is the most desolate of the Hawaiian islands (I suspect that would go to Molokai), the dry weather and wide, empty space certainly lends itself to a very martian-like landscape, complete with empty white sand beaches at the end of rusty, fire-red roads. 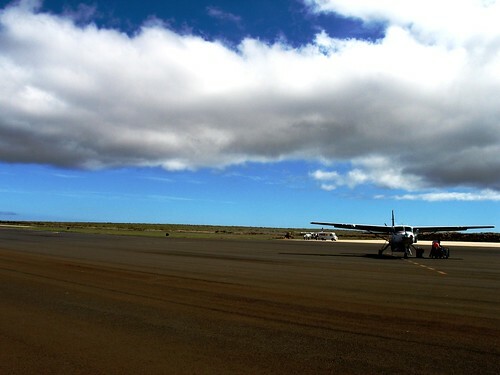 The only city to speak of on the island is Lanai City, which is where you’ll find most of the non-resort amenities. Step into one of the two grocery stores and prepare to go back in time – they haven’t changed much in at least a couple of decades. Also note what’s expensive and what’s normally priced – it’s surprising. I asked a local why things like milk and shampoo are a king’s ransom while crisps or cheese are normally priced, and he said that it is all about the weight, which makes sense considering most of the island’s supplies still arrive by ferry on a weekly shipping container. Alternative Accommodation: The island has some great B&Bs and these properties include tons of extras, so be sure to consider these. Although I’d be remiss not to mention Hotel Lanai, right in the middle of Lanai City, whose rates start at just £62/night. The hotel was actually built by the Dole Pineapple Company to house visiting executives. Don’t Forget Your Toiletries: Wow, $7USD for a small bottle of shampoo? Yes. Toiletries are one of the more expensive items on the island, so don’t forget yours. I’d also bring a few medicines too just in case – paracetamol, etc. – as those options are a bit limited too. Check in Foursquare or Facebook: At the resorts, there are happy hour specials of up to 50% on both food and drink for checking in on Foursquare or Facebook. Check at the front desk or your server to find out what your options are. Eat with the Locals: Nothing tempting you at the resorts? Consider one of the many Lanai City establishments that are bustling with locals, such as Blue Ginger Cafe (burgers, pastries, chicken, salads, sandwiches) or Cafe 565 (amazing calzones and pizza). Enjoy the Outdoors: Going on a hike up on the Munroe Trail, the highest point of the island, is free. The beaches are free, save your transportation costs. And almost everywhere there’s a nice place to sit and enjoy the view – including on the lovely terrace of the city’s coffeeshop, ‘Coffeeworks’. The best part about Lanai is just laying around and relaxing. So make sure you save some time to do just that – and relaxing, for the most part, is free. Image credits: Rickh 710 & Andy Hayes.